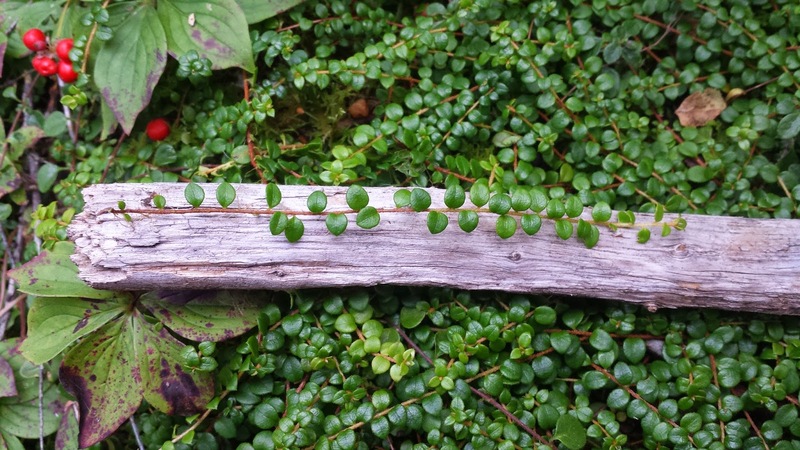 PhytoChemia's Blog: Introducing plants from the boreal forest of Quebec - Card # 4 : Gaultheria hispidula (L.) Mühl. Introducing plants from the boreal forest of Quebec - Card # 4 : Gaultheria hispidula (L.) Mühl. Latin name: Gaultheria hispidula (L.) Mühl. and its former name is Chiogenes hispidula (L.) T. & G.
Common Names: Small tea, small tea woods, wintergreen insipid, tasteless chiogène, Snowberry. Qualified as a small creeping shrub of the heath family, this plant has long spindly branches and small oval or ovate leaves1 (Figure 1).The bay is white and hairy and also has very small diameter (5-6 mm)1 . The aroma of the fruit is near of sour apple and the flavor of menthol (small taste astringent) are due to the presence of methyl salicylate, a compound that is widely synthesized for many years in the food industry and perfumes. Figure 1 : Gaultheria hispidula (L.). This plant is found mainly in the undergrowth of coniferous forests and abundant land cover (Figure 2). Many people consume these fruits and infuse the leaves to make tea. This plant must be eat with moderation, because an high consumption of its essential oil (present in leaves) can be toxic for human. 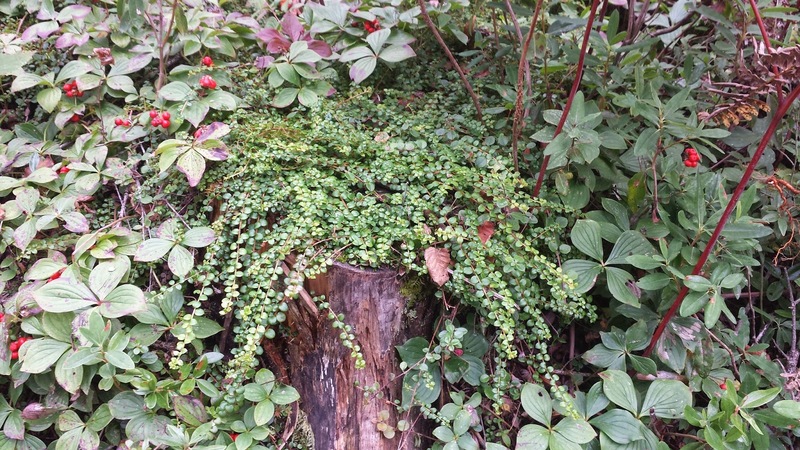 Figure 2 : Wintergreen in its natural environment. Only two kinds of Gaultheria are present in Quebec. Gaultheria procumbens (L.) is identified by the common name "Wintergreen" and it is better known and more research has been developed on the antibacterial activity of its essential oil2 than G. hispidula. Both plants are also known to contain methyl salicylate in their fruit. This compound is found to be a good pain reliever and a natural anti-inflammatory3. A study in 2009 on various plants and trees in the boreal forest has shown that extracts of leaves of G. hispidula had an interesting antidiabetic activity in vitro4 . This research was made in collaboration with many scientifics from Montreal and Ontario and they found that the leaf extract analyzed contained several interesting phenolic compounds (catechin, taxifolin, myricetin, etc.)4. Also, the extract of this plant showed antioxidant activity comparable to ascorbic acid (vitamin C). According to this post, we can see that there still are a lot of researches to do on this common plant that we encounter regularly in our forest. (2) Nikolić, M.; Marković, T.; Mojović, M.; Pejin, B.; Savić, A.; Perić, T.; Marković, D.; Stević, T.; Soković, M. Chemical Composition and Biological Activity of Gaultheria Procumbens L. Essential Oil. Industrial Crops and Products 2013, 49, 561–567. (3) Liu, W.-R.; Qiao, W.-L.; Liu, Z.-Z. ; Wang, X.-H.; Jiang, R.; Li, S.-Y. ; Shi, R.-B. ; She, G.-M. Gaultheria: Phytochemical and Pharmacological Characteristics. Molecules 2013, 18, 12071–12108. (4) Harbilas, D.; Martineau, L. C.; Harris, C. S.; Adeyiwola-spoor, D. C. A.; Saleem, A.; Lambert, J.; Caves, D.; Johns, T.; Prentki, M.; Cuerrier, A. et al. Evaluation of the Antidiabetic Potential of Selected Medicinal Plant Extracts from the Canadian Boreal Forest Used to Treat Symptoms of Diabetes : Part II. Can. J. Physiol. Pharmacol. 2009, 492, 479–492.